B2B - For the TRADE ONLY - PLEASE PROVIDE A COPY OF YOUR TAX EXEMPTION FORM / RESALE CERTIFICATE FORM / VAT EXEMPTION FORM - for our records. Thank you. for special shipping quotes by air and by ocean ! Thank you. 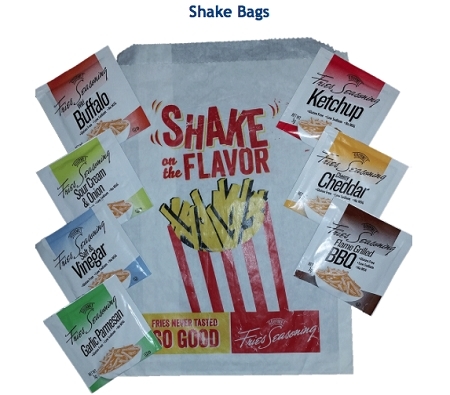 2 pound bags - Save and buy a set of all eight flavors: Cheesy Cheddar, Flame Grilled BBQ, Garlic Parmesan, Ketchup, Salt & Garlic Pepper, Salt & Vinegar, Sour Cream & Onion, and Wild Buffalo. Fries, Chips, Baked Potatoes, Popcorn, Veggies, Pasta, Rice, Chicken, Burgers, Soup, Salad and Eggs or just be creative. 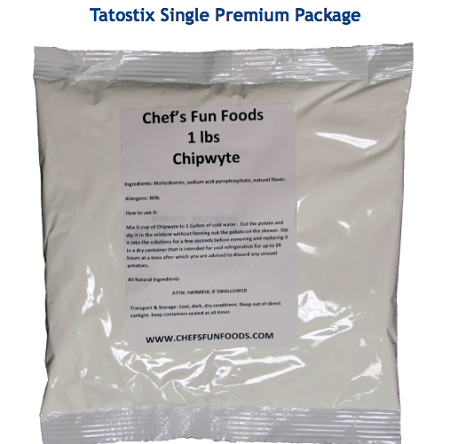 Chipwyte preservative is natural and allergen-free product that inhibits the discoloration of fresh and frozen potatoes, providing them with a longer shelf-life. The perfect, low-cost alternative to sulfites. Chipwyte allows you to precut your potatoes in anticipation of a busy day, while keeping them fresh and ready for frying. Mix 4 Tbsp (46g) of Chipwyte into 2 gallons of cold water. Cut the potato and dip it in the mixture after partially fanning the potato on the skewer. Dip the entire potato into the solution for 3 minutes. Remove the potato and let the excess solution drain off. 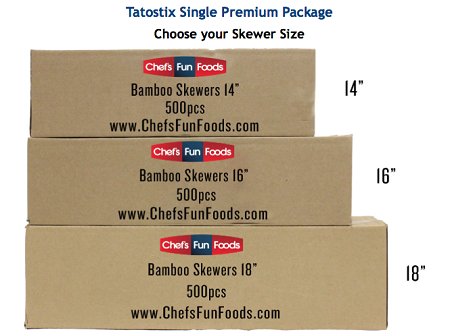 Chef’s Fun Foods currently offers three sizes of bamboo skewers 14" (35cm), 16" (40cm) and 18" (45cm). They are available in boxes containing 500 skewers as well as cases containing 6 boxes. Our bamboo skewers are great for making fondue, shish kabobs and much more! For safety, both ends of the skewers are blunt. Waffstix/Tatostix’s fluted Waffstix/Tatostix Trays are 10 inches in length and are a great way to serve and present a Waffstix/Tatostix! 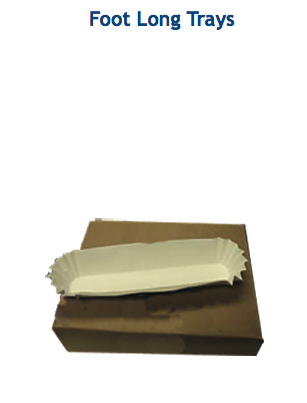 Each Waffstix/Tatostix Tray provides a quick, easy, convenient, sanitary, single service disposable tray for your Waffstix/Tatostix. Waffstix/Tatosstix Trays are available in boxes of 250, or in cases containing 12 boxes (3,000 trays). 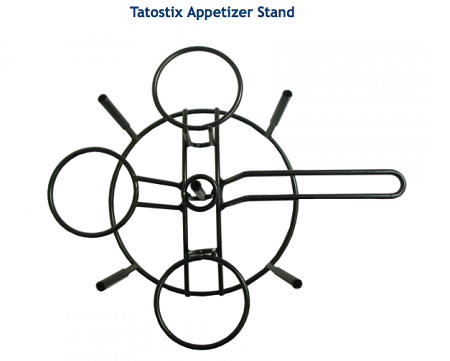 The Tatostix Appetizer Stand will show off your appetizers in a dynamic fashion. The stand can hold upto three skewers. 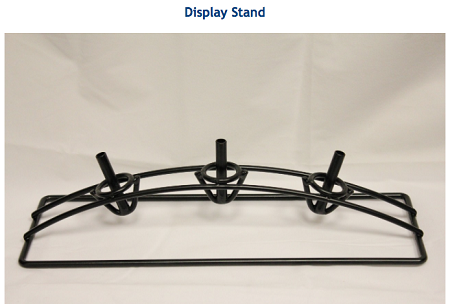 It stands 12"L X 4"W X 3.5"D and made from steel with a black powder coated finish. 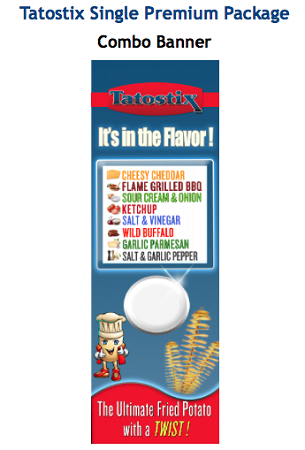 This eye-catching stand will help you build product recognition and have the ability to mix and match foods on a stick such as Tatostix, Kabobs, Chicken on a stick and etc. 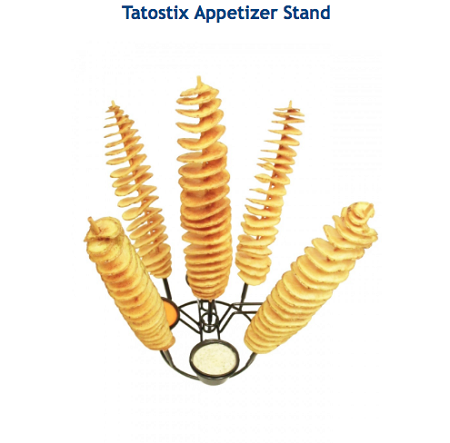 The Tatostix Appetizer Stand will show off your appetizers in a dynamic fashion. The stand can hold upto five skewers and three 4oz cups of your finest sauces. It stands 4" tall 10" diameter and made from steel with a black powder coated finish. 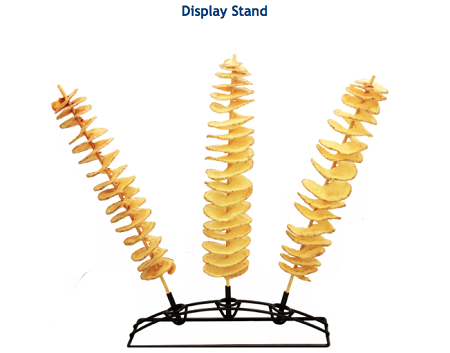 This eye-catching stand will help you build product recognition and have the ability to mix and match foods on a stick such as Tatostix, Kabobs, Chicken on a stick and etc. 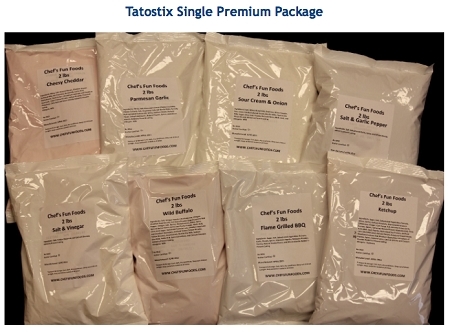 This Tatostix Roll Top Combo Banners features all of the important information your customers need! It prominently displays the Tatostix logo, pictures of Tatostix, featured flavors of Gourmet Fries Seasonings, and the price of a Tatostix. 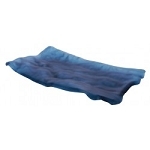 The banner measures 6’ H x 31" W, is made of high quality vinyl and is supported by a foldable rod that can be conveniently stored in the back of the base when not in use. The individual packets can be handed out to your clients at a fair, carnival, food truck, school cafeterias, office cafeterias, etc... for them to season their potatoes themselves. There are 250 packets. B2B Trade Only > For Professionals & Businesses ONLY > For Whomever I Haven't Listed Herein !